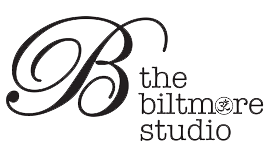 Start taking classes at The Biltmore Studio and other studios! A condensed version of the Biltmore Hot 80 minute sequence. This hot practice is designed to strengthen the body, calm the mind and re-energize the spirit. This class flows to music through a sequence of balancing and energizing asanas designed to increase breath awareness. There are no upcoming “Biltmore Express” classes on this day. Lovely instructor and great workout! amazing and friendly staff! would love to come again when i vacation here next. julie is amazing! love her upbeat classes! Melissa is an amazing instructor! the perfect blend between calm serene &amp; upbeat! great class! Alex is a great instructor and the community is a great place to start my day. only one shower in men's "locker room"
great class. sequence felt rushed the last half of class.